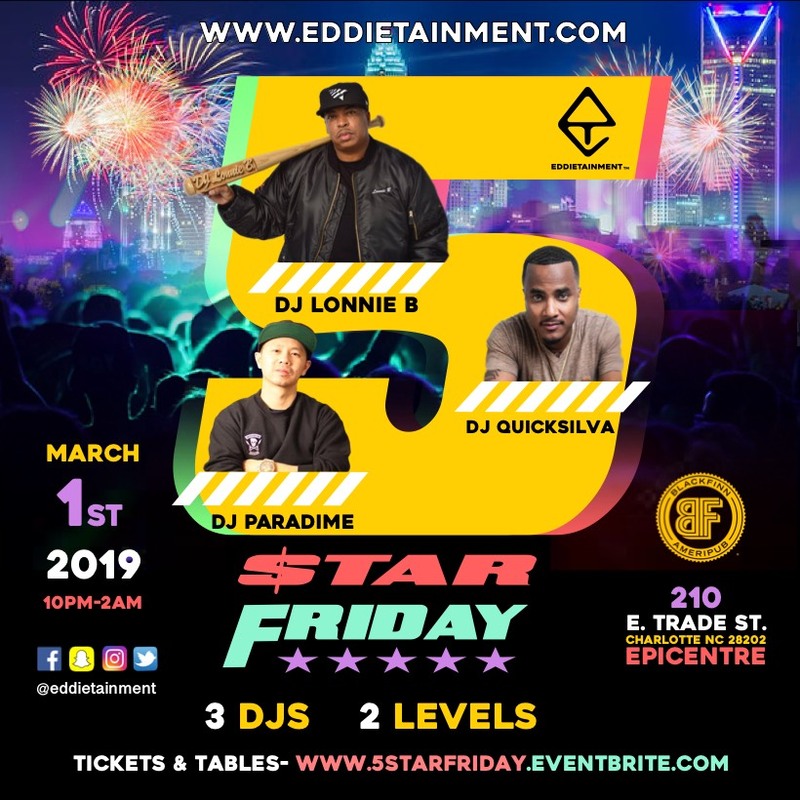 Eddietainment is back with 5 Star Friday on Friday March 1, 2019 at Blackfinn Epicentre. You have the pleasure of enjoying 3 hot DJs on 2 different levels under the roof of 1 premier venue. Enjoy the sounds of the VA’s DJ Lonnie B of the Heavy Hitters along with Ciroc Boy, DC’s own DJ QuickSiva and one of Carolinas finest DJ Paradime. Doors open at 10pm until 2am.